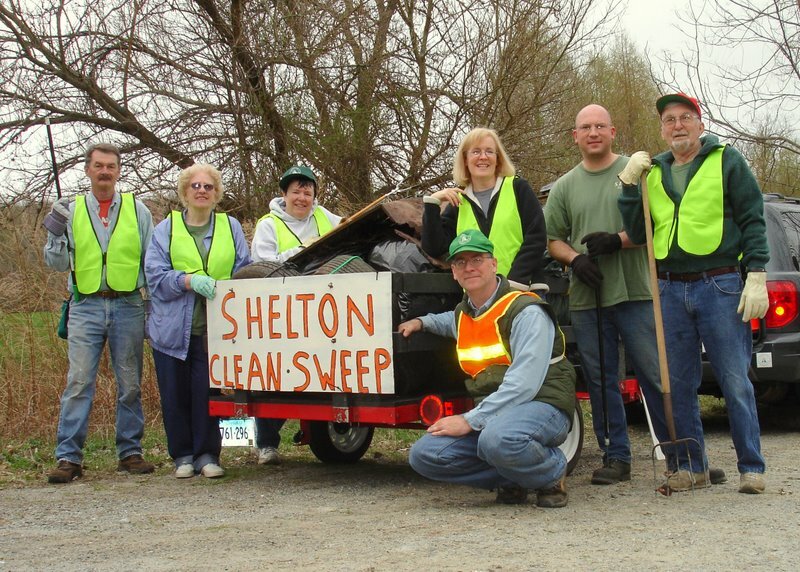 Shelton Clean Sweep was another great success this year. Many thanks to everyone involved! We had 45 clean-up events registered online, and there are always many other cleanups that no one tells us about (perhaps the majority). 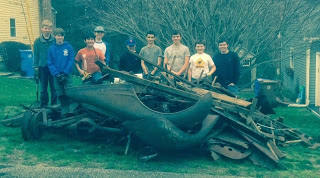 The total reported cleanups involved 275 people who removed 250 large bags of litter as well as many other large items like old swing sets, tires, and even an old car. 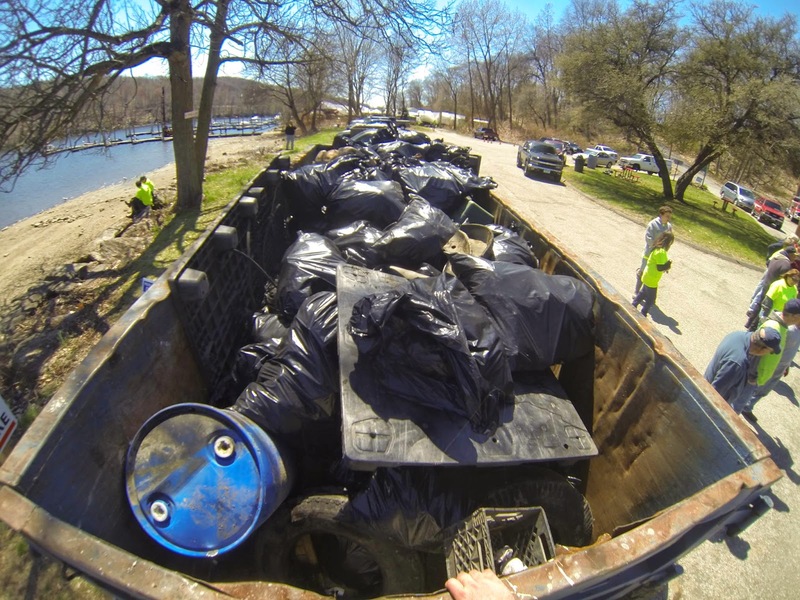 This does not include the Housatonic River Cleanup, in which maybe 100 people filled up a couple of large dumpsters. George Waters, Volunteer of the Year (Individual Category). As always, we would like to give special recognition to the Housatonic River Cleanup, Inc. , whose efforts resulted in an incredible pile of garbage taken from the shores of the Housatonic River, filling two 30-yard rolloff containers at Sunnyside Boat Launch. 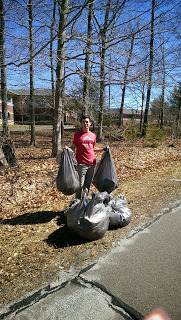 Many volunteers don't report their cleanups, so the above is just a fraction of the litter that was actually removed. We are still working to persuade people to record their cleanups. 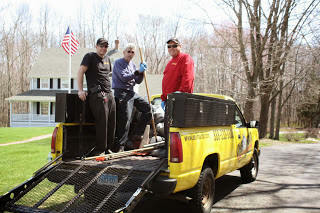 An estimate of the total number of volunteers involved throughout Shelton is 500 people. 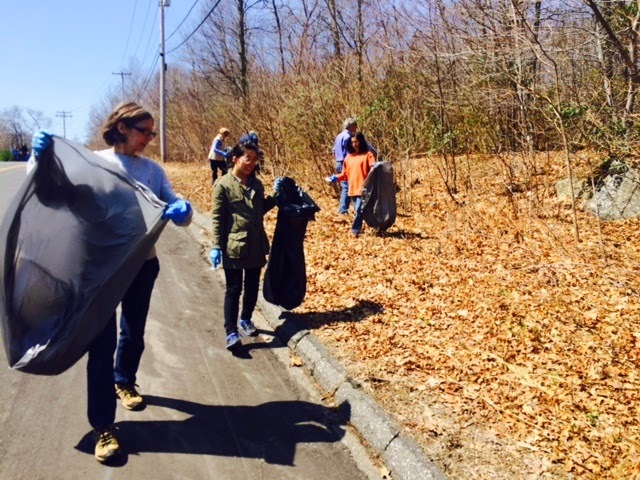 The biggest single cleanup is always the Housatonic River Cleanup, which stages at Sunnyside Boat Launch. This year was no exception, even though the group had to contend with some rowing races being held on the river at the same time as the cleanup. 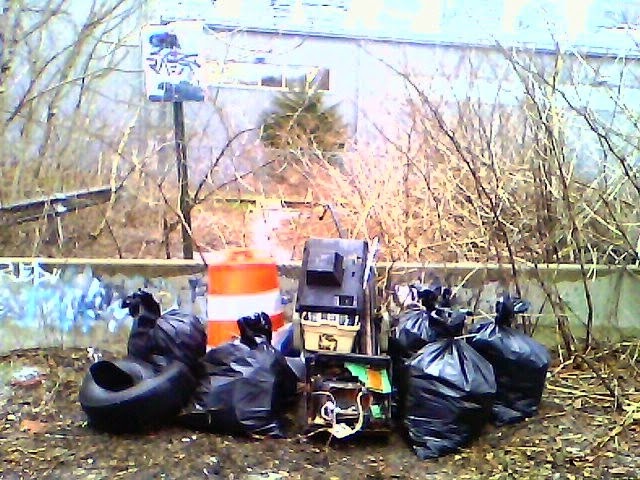 The debris was even sorted for better disposal. Great job! 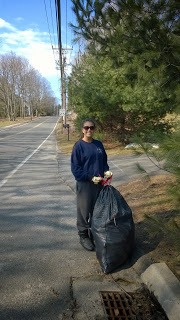 The group posts lots of great photos on their Facebook Page. 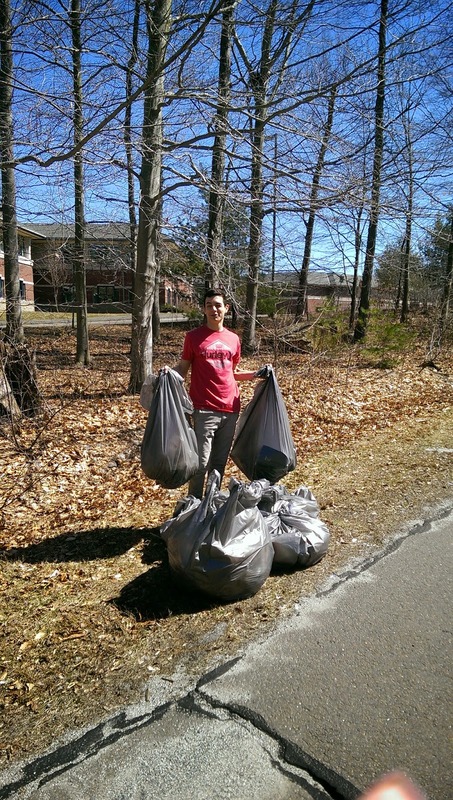 This year we saw a big uptick in the number of High School students seeking to work independently picking up litter to earn Community Service hours. Shelton High requires ten hours per year, and the deadline is May 1. 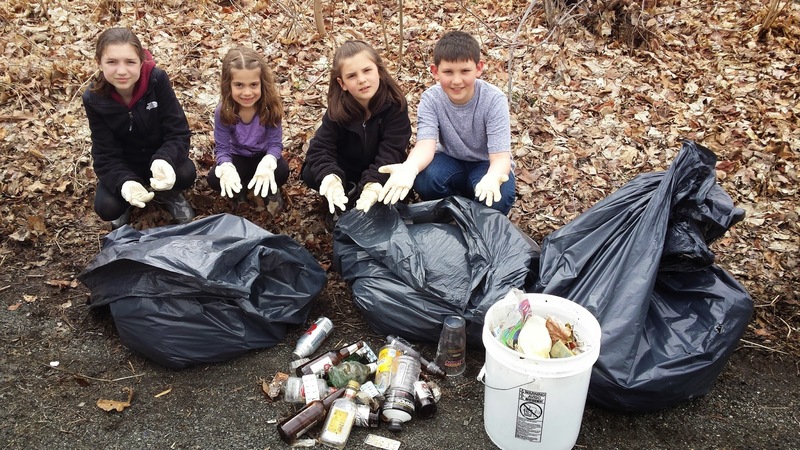 We have a webpage that explains exactly how to earn hours by picking up litter. 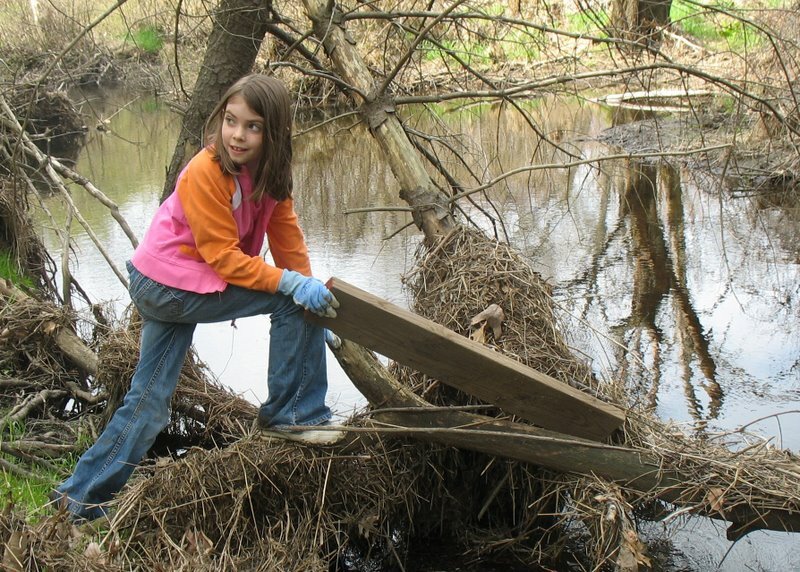 In order to receive credit, students need to carefully document exactly when, where, and how much they cleaned up, and also submit photos. Students can also earn their hours by helping out with the Housatonic River Cleanup, but some students prefer to work independently in their own neighborhood, sometimes for the best scheduling flexibility. We seem to have a drop in the number of Scouts participating and would like to know why that is. It does seem harder to get word out to all the Scouting groups in advance. And we no longer hold the recognition event where certificates are handed out with the Mayor. Is that a factor? We miss all those Scouting photos. But we did get some photos from others. 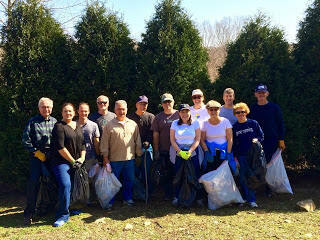 Great job, everyone!